Accenture’s Mobgen will exhibit the world’s first in-car payments system together with Shell and Jaguar Land Rover at Mobile World Congress 2017. 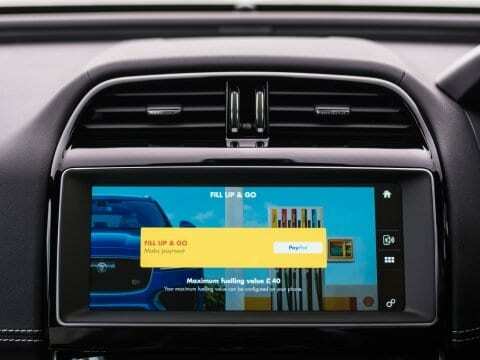 This new innovation allows Jaguar Land Rover drivers to process payments at Shell stations in the UK, using the in-car touchscreen. Customers with the Shell app installed and a car with InControl Apps can connect their smartphone to the dashboard, allowing them to locate the nearest Shell station, confirm which pump they are at, and pre-authorise using Apple Pay or PayPal, so all the driver has to do is fill up, view the receipt and leave. This long-standing collaboration between Mobgen and Shell was initiated to create the consumer-facing platform, Shell app. The app is now available in 30 countries worldwide in 18 languages for both Android and iOS users. The Shell app has been recognized with a 2017 GLOMO Award in the “Best Use of Mobile for Retail, Brands & Commerce” category at Mobile World Congress 2017. “As we introduce services like mobile payment onto Connected Car platforms, starting with Jaguar Land Rover, we show our OEM partners that we are the leader on Digital in our sector. With our partnership approach with PayPal, Apple Pay for B2C and our forthcoming Digital Euroshell API for B2B, it’s proof that we can do big things together for our partner’s programs and strategies,” said Ron Vrijmoet, CEO, and founder of Mobgen. With this new system, you can choose any pump and pay for the fuel even if you’ve forgotten your wallet or can’t find your credit or debit card. Mobgen – an Amsterdam-based startup was acquired last year by Accenture to expand and strengthen its end-to-end mobile approach.